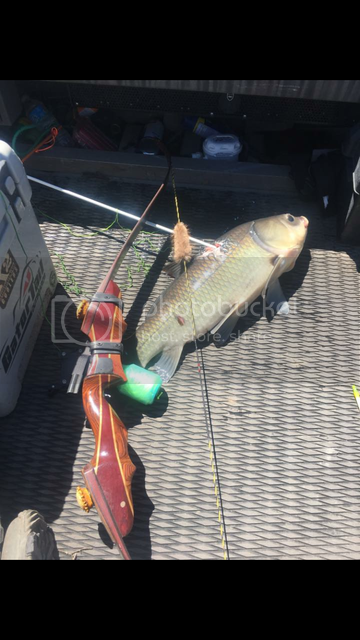 I got invited to go bow fishing and of course I jumped at the chance. Went during the day in my stomping grounds and we shot several buffalo. 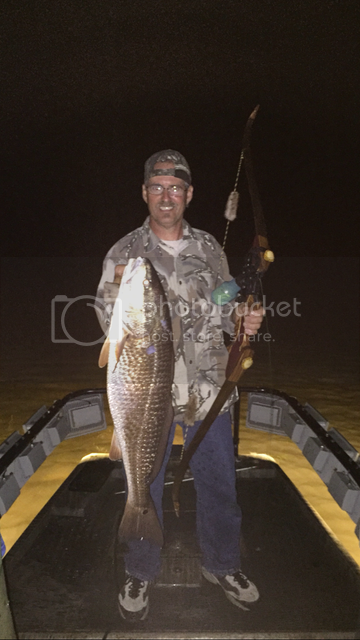 We went near Cocodrie, La last night looking for redfish and gar. We didn't load the boat but I was fortunate to have stuck an 18# Red and a 40# Gar! Great job! 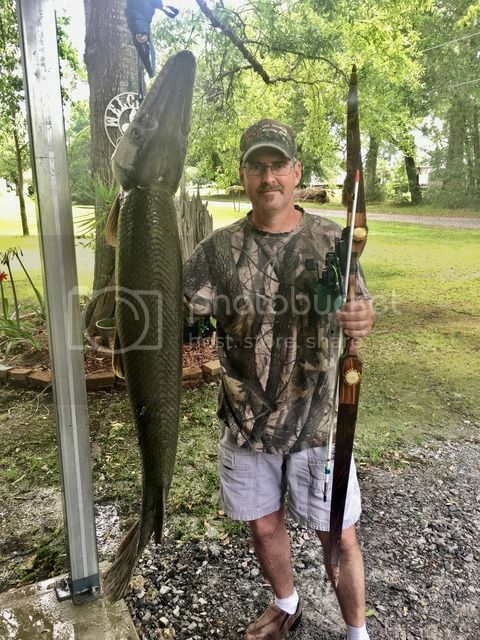 That is on my bucket list to bowfish for reds! Man, if I lived over there, I'd be after those reds all the time! As it is, we go about twice a year. Nice going,looks like a great haul!